Read on to win an adult and child sleep meditation bundle – Come on, let’s get some sleep! No-one warns you when you become a parent do they? About the sleep deprivation. I mean, there is some mild counsel about the new-born stage being “tiring” and the wiser among us may consider that you might lose a few hours through the toddler years; “sickness”, “attachment”, “night terrors” but no-one outright says to you “You will NEVER. SLEEP. AGAIN”. Ok, that’s probably a little dramatic, it’s important to say, you WILL sleep again. But the reality is, that at times it does feel like you won’t. 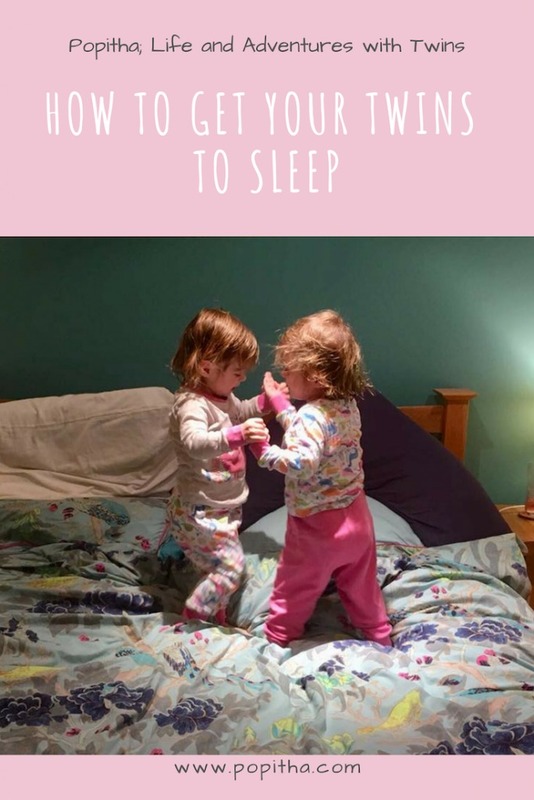 The truth of it is, that sleepless nights are just as much a part of parenting as nappies and school runs and for many, those sleepless nights continue well beyond the realms of toddlerdom. The reasons might change and thankfully for the most part, the children in question begin to actually start to articulate what’s wrong but if I am being honest, knowing what’s wrong doesn’t always make you anymore capable of managing it. Much like an adult, sleep for a child can also be more difficult during periods of change; a trip away, starting back at nursery or school, moving house etc. So I thought now might be a good time to introduce you to a little something I have found useful on my journey to peaceful sleep with twins. Meditation for Children – Let’s give it a go! A couple of months ago, a friend gave me a meditation. It’s called A Forest of Sleep and it’s a collaboration between established meditation company Aluna Moon and children’s author Katie Flaxman. At its core, it is essentially a meditation for children with the purpose of getting your child to feel sleepy or indeed fall asleep. Being new to the world of children’s meditation, I wasn’t really sure what to expect and so I did some research. What I found was that there are actually a surprising number of meditations, guided imagery downloads and indeed audio books all claiming to be able to get your child to sleep but what I then also found was that this one, appeared to stand out from the crowd. Where Forest of Sleep differs is that, unlike most of its counterparts, it isn’t purely a guided imagery piece. It’s a narrative. It surprised me that the vast majority of children’s meditations on the market, are guided imagery pieces; essentially describing a simple scene whilst stimulating certain sensory (in this case sleepy) reactions. Not being an expert in meditation, I can’t speak for their efficacy but I can say I noticed that very few move beyond this to try to incorporate a story. I may not know a great deal about meditation but as both a teacher and a mother, I do know about stories. I avidly read to my children and as evidenced by my social media posts, the girls love stories so it drew me to Forest of Sleep that it managed to be both a meditation and a narrative. And I suppose, both the girls and I found it more interesting because it was. Being new to meditation, the story telling also made it more accessible. The meditation techniques are still there but it’s neatly woven into the story and for the most part it’s so subtle that you hardly notice it at all. What’s more the story itself is engaging and not just for the children. Let’s face it, whilst it’s nice to think that you could just press play and walk away, many parents may have to work up to being out of the room whilst our child falls asleep and it’s helpful if the story that gets our child to sleep doesn’t make us fall asleep with boredom first. This story is far from boring, it draws you in and I’d go as far as to say, it would actually make a really beautiful meditation for adults (at least I will be using it!). What is the length of the story? 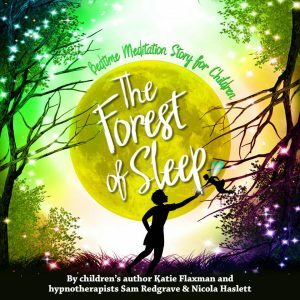 Forest of Sleep is also shorter than the average children’s meditation which in my book makes it a winner. 50 minutes or an hour, is just too long to be sitting with your child in the dark listening to a meditation. Forest of sleep instead comes in at about 32 minutes and given that average sleep latency (the time it takes to fall asleep) in children aged 6-16 is 26.5 minutes, this seems not only manageable from a parenting perspective but also appropriate from a sleep science point of view too. Another thing that surprised me is that it is unisex. Most meditations which exist out there seem to be aimed specifically for boys or girls. This is fine if you have a girl who loves mermaids or a boy who loves dinosaurs but what if you have a tomboy girl or a princess loving boy or what if you have siblings of more than one gender (who both struggle to get to sleep). Forest of Sleep somehow manages to cater to everyone without losing any of its clarity or integrity. The meditation itself is actually aimed at children slightly older than mine with a recommended age of “4 – 40 and beyond” but none-the-less the girls responded really well to it and I soon ended up with two very relaxed, very sleepy toddlers on my hands. So, if you’re a parent struggling with children who can’t get to sleep, maybe your child is anxious, maybe they just don’t like bedtime, maybe they struggle to relax after all the stimulation of school, give this a go. At worst, it’s a really lovely bedtime audio book for your children and at best, you might even sleep through the night again…and you can’t say that’s not an inviting prospect! You can purchase Forest of Sleep HERE. Or search on audible, amazon, iTunes, kobo or most other audio download sizes. And please do leave them a review, Aluna Moon and Katie Flaxman would both love to hear your feedback as well as any requests for new meditations for your children. **The Forest of Sleep was gifted to me to aid this review but all thoughts and opinions are Popitha’s. My two are 12 and 10 now but I struggled for years with Max’s sleep issues. These were mostly due to his autism. He needs to be given melatonin about 40 minutes before bedtime or he literally can’t switch off. The main problem after he was prescribed this though was that although it helped with falling asleep, it didn’t always help with staying asleep! We ended up with a sleep counsellor who became my rock – I like to think of her like our fairy godmother! With the help and support of her Max finally started sleeping through when he was nearly five and a half. We still have our difficulties at times (he gets up when he hears the birds chirping – great in winter but not so much around summer time! ), but all in all his sleep is finally mostly under control, which has made life SO much easier! I am like that too. Or an early start, it just kills me for the rest of the day!